In recent time these type of homes have become an economical and good choice for homeowners. Due to heavy cost price of the traditional homes, it’s not easy for home buyers to afford a traditional home of the same quality that they can get in readymade homes. Since last decade or so new type of homes have revolutionized the World real estate market by providing affordability and flexibility in home design field to potential buyers. With the help of Internet you can find thousand of online homes portals which offer homeowners an economical and best deal in homes. 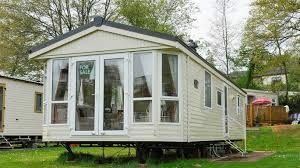 In these portals you can easily buy a quality mobile home at an affordable price. Mobile homes build by these reputed online home builders are spacious, well-designed, comfortable and affordable. The main advantage is that these homes are thoroughly inspected to meet the construction standards set by the Housing board for the design, energy efficiency, comfort and durability.